Bike of the New Century. Back in 1969, Honda’s legendary CB750K0 changed the world of motorcycling forever. 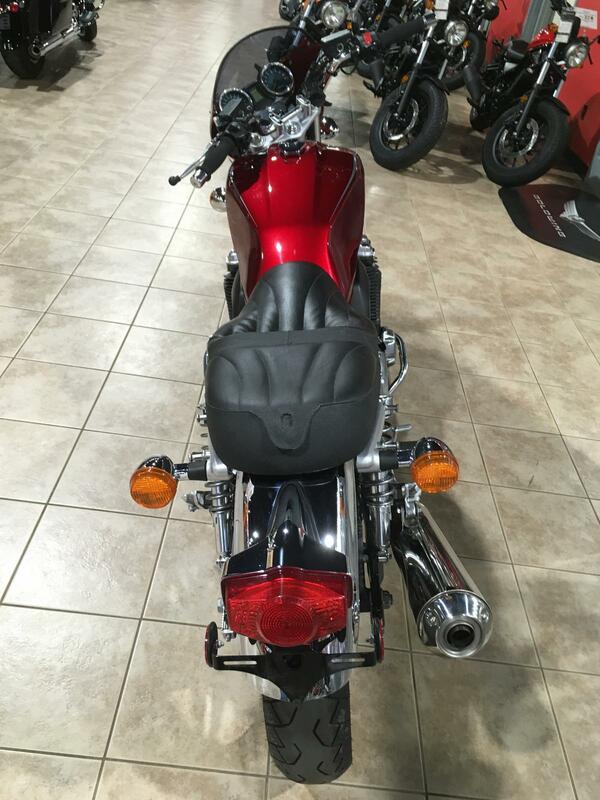 Powerful, technologically advanced, flawlessly built, it instantly redefined what a motorcycle could be. And you can say the same about the new CB1100. Same engine architecture, except now it displaces a full 1140cc and offers fuel injection, and much more. Same, timeless style, but updated with contemporary accents. It’s a bike a whole new generation of riders is going to appreciate. Transverse-Four Engine: Smooth, powerful, compact, and free-revving, Honda’s inline fours set the standard in the class. 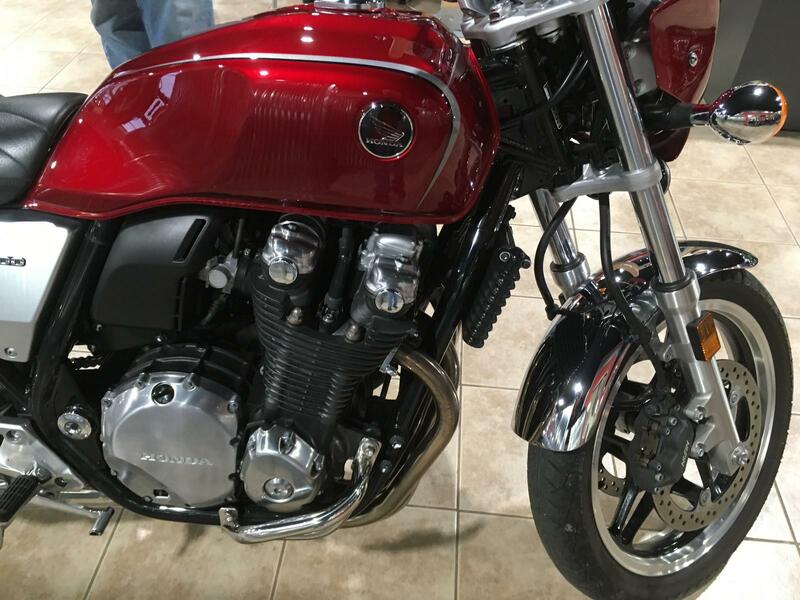 The new CB1100’s engine displaces 1140cc and features air cooling for a timeless look—why hide it under a fairing? Steel Chassis: There’s something about a good, twin-loop full-cradle steel chassis in basic black that not only looks great, but offers plenty of modern chassis geometry too. You’ll find the new CB1100 handles as well as it looks. 1142cc Air-Cooled Engine: With an engine this size, you get power everywhere—enough to go on a spirited street ride, an hour-long cruise, or carry a passenger with ease. PGM-FI Fuel Injection: Improved cold-weather startups, no-drama high-altitude riding and no choke are just three benefits of fuel injection. Four-Into-One Exhaust: The CB1100's four-into-one pipe gives this bike a crisp sound, and the chrome finish is a great highlight, too. 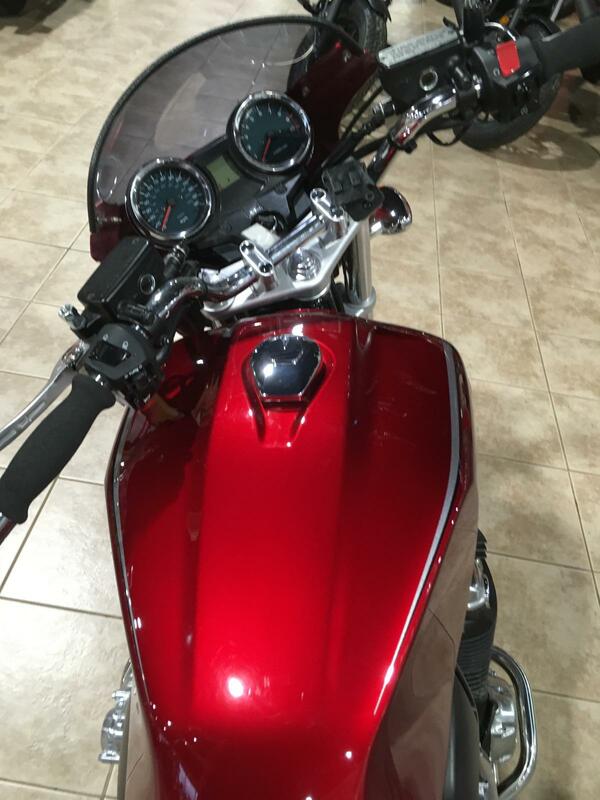 Polished Aluminum Engine Covers: The polished aluminum accents on the CB1100 are more expensive, but are an example of the quality, design, and detail that make the CB1100 a uniquely premium motorcycle. 41mm Front Fork: A traditional design, the 41mm fork features spring preload adjustability and is plenty strong for sporty rides and, along with the wide bar, gives the CB1100 a light feel around town. Twin-Shock Rear Suspension: Easy to adjust and equipped. 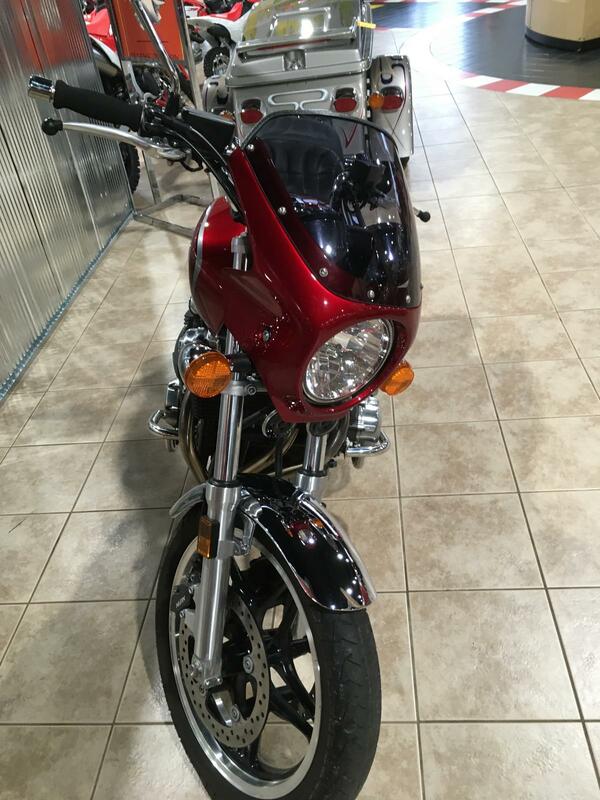 Featuring preload adjustability, the CB1100's rear suspension proves that the traditional design, done right, can still provide excellent handling characteristics. Aluminum Swingarm: Combined with the CB1100's steel-tube full-cradle twin-loop frame, the stout aluminum swingarm is part of the CB1100's excellent handling package. Disc Brakes: Nothing retro here: The CB1100's huge twin front discs and single rear disc are drilled for lighter weight and less heat retention, and offer smooth, predictable, powerful stopping capability. 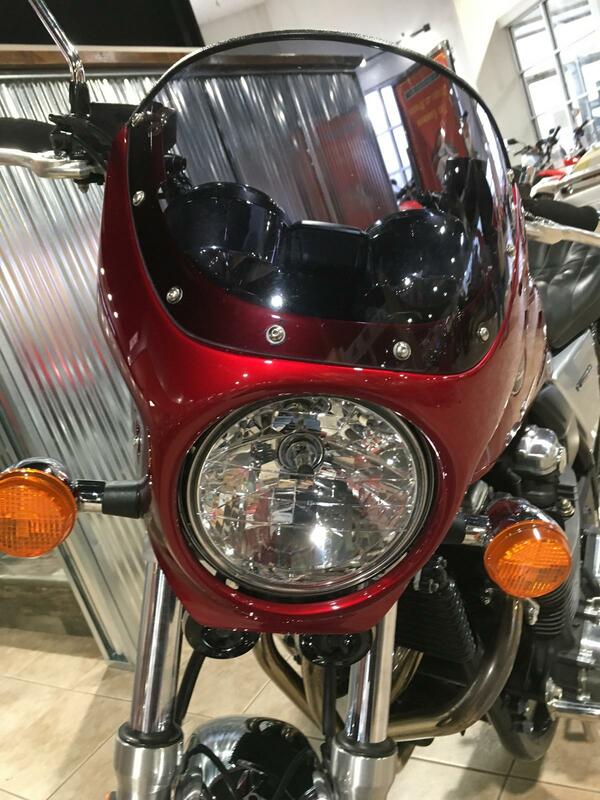 Cast Wheels: Light and easy to keep clean, the CB1100 wheels contribute to the bike's performance and handling, while acknowledging the timeless look of Honda's classic machines. Classic Instrumentation: Chrome-rimmed speedometer and tachometer both analog and easy-to-read. What could be better than that? 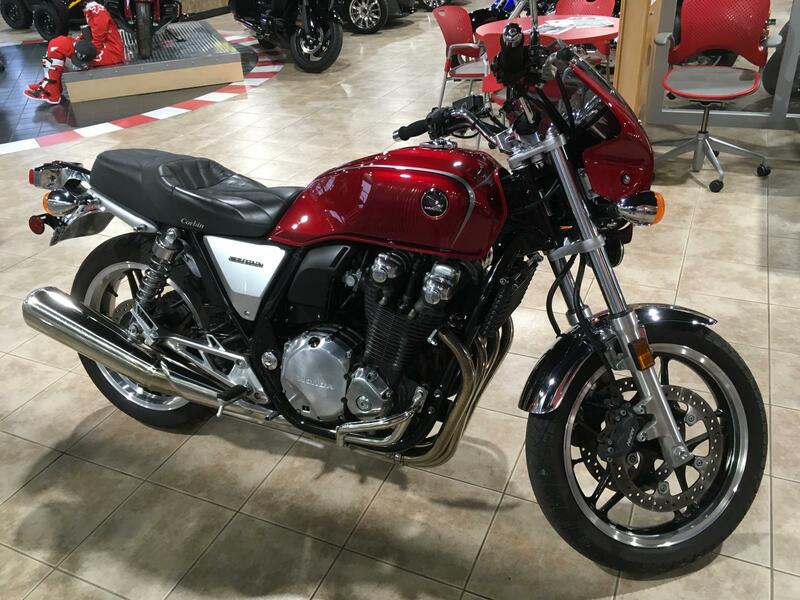 The new CB1100 also offers a digital clock, odometer and illuminated engine diagnostic indicators. 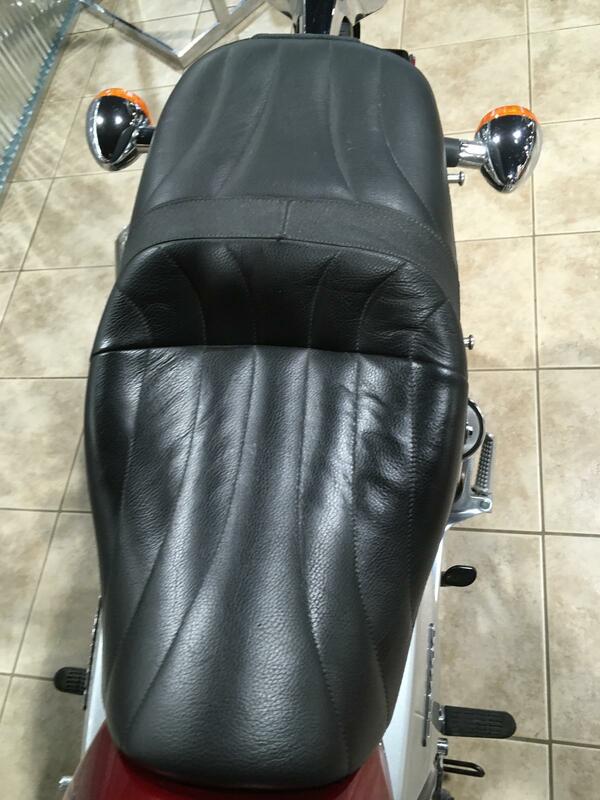 Comfortable Riding Position: One of the reasons so many riders like Honda's classic fours was because they were comfortable. 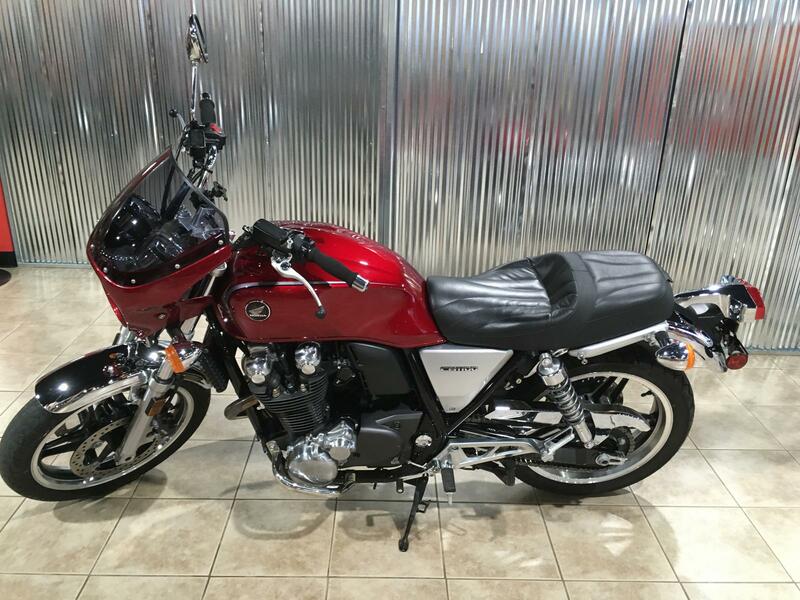 Same for the new CB1100. Ride it for ten minutes or two hours and you'll see that it's one of the easiest-to-live-with machines in any class.